Ryan Sewell causing pain to geologic formations. Photo by our own Fidi! Ryan Sewell, Denver via Texas, has been constructing the building blocks of a sustainable career in climbing since his early teenage years. 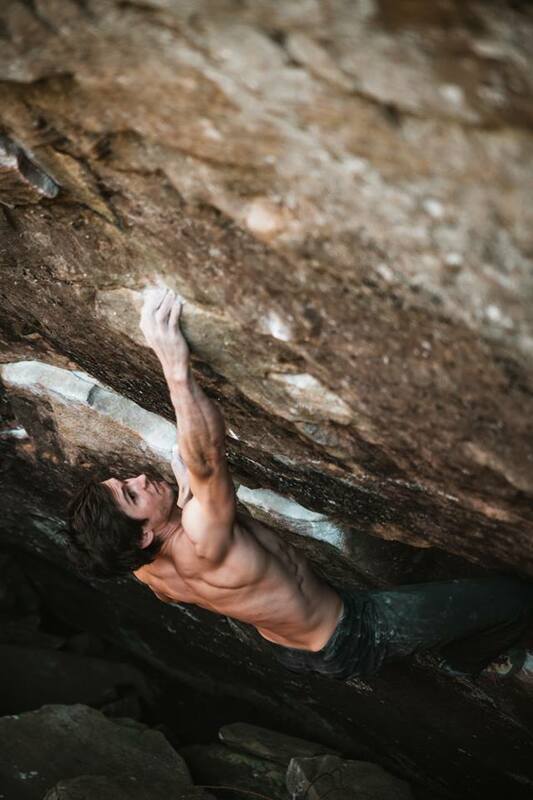 Youth World Cup competitions, scrubbing holds in dingy gyms, ascending to a world-class outdoor status (V14/.14d), and finally wrestling with the notion of going pro or finding another route for a career in the industry. He eschewed the jet-setting hustle of becoming a professional climber and settled into a career as a route-setter and innovative thinker in the world of plastic. He’s now heading an elite crew of setters for Movement Climbing + Fitness in Denver/Boulder, as well as cobbling together a strategy to move our sport sustainably and responsibly into the future. Ryan is one of those guys who is so sharp that his rejoinders cause you to think about everything you say, kind of spinning the Rubik’s Cube to find the perfect thing before you present him an argument, comment, or offhand witticism. Every move thoughtful and deliberate, Ryan tackles life’s hurdles with grace and preparation. It’s a hard-earned wisdom. This mindset unequivocally came in handy when he faced a life-threatening disease in the middle of the last decade. With the grim reaper tickling his toes, Ryan summoned a miracle out of pure will. This is an episode for the truly addicted climber, who spends time in the gym, spends time outdoors, spends time thinking about how our sport will surely continue to evolve, for better or worse. Ryan is the perfect guide to unpack the various hiccups our beloved sport will almost assuredly encounter as it continues to devour the American zeitgeist. Check out a new piece on Ryan from Rock & Ice here. Thanks again to Ryne Doughty for the rad music!